At D&V Plastics, we use hardened silicone, a synthetic polymer, to manufacture resilient, heat-resistant plastic baking trays for bakers across Toronto and the GTA. Our plastic trays are built for ease of use: no more oiling or greasing of trays before putting them in the oven! Using these silicone baking trays saves time and money for your business. Plastic is also a more even insulating material your baked goods bake evenly throughout and no longer run the risk of darkened bottoms. This is a common issue with metal trays because they tend to get very hot very fast. With our plastic baking trays, you can say goodbye to baked goods sticking to the tray. A slight twist is enough to roll out the stickiest of doughs, mainly because plastic is by nature a low-friction material! Plastic trays have a unique advantage they dont grow old. Metal trays tend to rust over time. They also stain and look disgusting, which doesnt look good for your business when a customer sees them. Plastics dont rust or stain. You can wash off any stains easily, which means your trays will always be clean and beautiful. We pride ourselves on our ability to tailor our products to meet your unique needs. 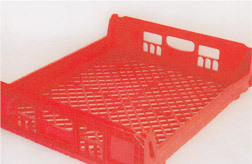 All our plastic baking trays are made to order with your specifications at the top of our list of priorities. This makes our plastic trays among the most useful in the business. We also support delivery within the GTA, so you can get us to deliver your order to your bakery. To learn more about our company and the services we offer, visit our About Us page. 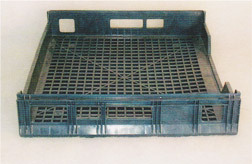 Our commitment to durable plastic baking trays means all our racks and trays use high-density polypropylene materials in their design. High-density polypropylene is a type of synthetic polymer that has great insulation and heat resistance. 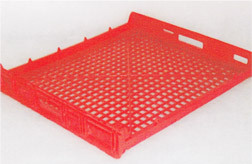 Our plastic trays heat more evenly, cool down faster, and are low-friction for all surfaces. The strength of polypropylene means our racks can be stacked on top of each other a single rack can carry up to 600lbs on it. Customization is possible and welcomed at D&V Plastics. Feel free to assert your business individuality with us by picking special colors and stamps for your orders. Stamping your plastic baking trays prevents theft because its much harder to hide a stolen tray that has a companys name on it. Take a look at our base models below, all of which you can customize as needed. If you have questions, contact us we answer all your questions. There is no custom requirement we cant fulfill. 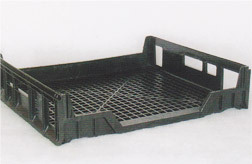 For more information on our range of plastic baking trays, contact us today!